"our mission on this earth is to be of service to humanity"
Crystal Clear Sound in Perfect Presence, emanating the beloved Sages palpable, instantly uplifting deep peace of evolved understanding in spiritual reality. "The Eternal Sun Unchanging Behind the Sun of Temporal Experiences." Entering into the authentic, exquisite experience of internationally revered teacher, Robert Adams, "suffering subsides" founded in the ancient spiritual timeless classic Truth of our original nature of seamless love, compassion and humility, the foundation to personal unfoldment in the cessation of suffering in everyday daily life. 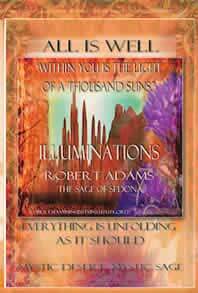 Enjoy an exquisitely beautiful, rare collection of the gentle Presence of beloved Sage Robert Adams in a personally guided spiritual rising, "I am calling you to a higher vision" through the pure vistas of Eternal Truth, unchanging. 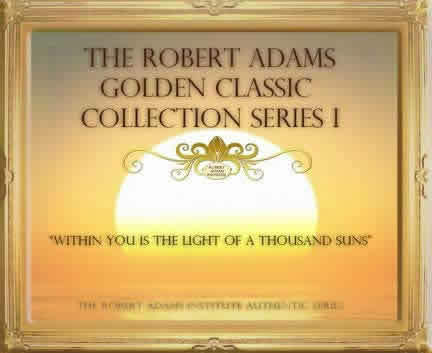 This Robert Adams Collection Series I includes a richly diverse, profoundly moving personal unfoldment into "The Light of a Thousand Suns' through precise directives, immaculate clarifications in application, unfolding into "a direct experience of God, beyond mere memorization and words", amid his renowned, truly joyful kind gentility and humor. Robert Adams boundless friendship amid 'clean spirituality', takes one by the hand into Perfect Peace within. REVIEW: Cool in every way, thanks so much. How do you describe nirvana? On the first play I was home. This is the way I see ancient seers speaking. slam dunk. ... Sam Kingsley LA CA. 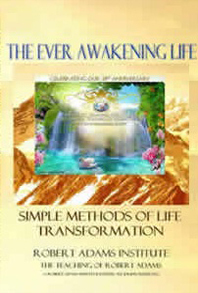 How To Discover Your True Nature,How To Become Liberated A beautiful emanation of the Masters gentle uplifting transmission in revelatory clarification, welcoming guidance, and warm peaceful power of divine presence. Robert Adams original Pure Form Talks include his established format of music and meditations as he chose in gentle beauty. An intimate guide to his own "Compassionate Inquiry" . 'When practicing inquiry, don't forget the love. The emptiness, the void is not illumination. It is simply a quieting of the human mind. You must go further. True Illumination is indescribable omniscient love, harmony, deep bliss, the peace that does not change. This is God. The Supreme. Within and without. The pure voice of this beloved sage in this powerful digitally remastered transmission emanating his presence. 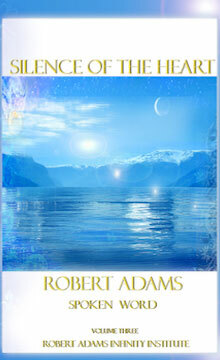 Includes a personally guided much loved 'Sage in the Heart Meditation' by Robert Adams. This multi- denominational meditation is a beautiful way to start and end each day as Robert Adams voice instantly lifts and transcends the cares of the world. This CD is focused on your own direct experience of the joy, peace and freedom from suffering in the immersion in sat-chit-ananda. In powerful digitally remastered clarity and vibrancy his voice resonates with the authority of eternal truth through his own personal experience. Robert Adams contemporary humor and twinkling transparency permeates these dialogues with the warmth of his heart. The pure voice of this beloved sage in this powerful digitally remastered transmission emanating his deeply caring presence in crystal clarification of topics. Understanding the 'I' as the Simple Limitation to Only Seeing Oneself In Limited Mortal Physical Life - Expanding To the True Unlimited Source in Peace - False Imagination is discussed and 'Awakening' in the original definition, and what your your true experience is Free Yourself from Enslavement - The Alleviation of Suffering: Modify Your Thinking - Remove fear, there is nothing that will harm you, Accelerated Unfoldment, - "Let go of your problems and God will take care of everything for you." A truly moving experience in the direct, person to person presence of the transmission of beautiful wisdom in a modern manner that invokes immediate personal experience. $14.70 (CD Aprox 47 minutes)+ Shipping. Studios, schools and organizations, please inquire as to volume. "Sing with all your heart. Chant. Try to do this each morning and evening. This will lift you above the vicissitudes of this world. Sing to God. "The original music selected by Robert Adams and performed at Robert Adams live Dialogues. 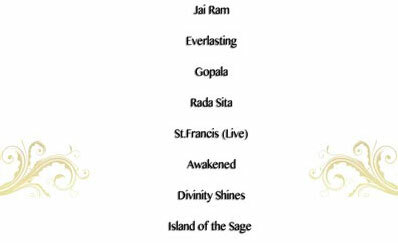 These are the original moving, loving chants and beautiful music personally utilized by Robert Adams. 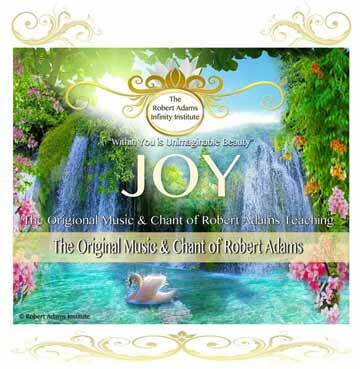 A beautiful rare compilation of exquisite, participatory, uplifting arrangements suitable for daily home use and private ponderings, this CD offers the original richly textured Robert Adams Chant section; original chants by his classically monastically trained touring composer, in eight years of monastic residence and study. REVIEWS: “This is the most overwhelmingly intoxicating chant experience I have ever heard- seriously… and I have them all. The adherence to 'school of chant' is there in stellar, sure, but a rush of waves of cinematic emotional hues just take it over the boundaries….Wowser!” - Charles DeLaney Los Angeles California Yoga teacher, music teacher. REVIEWS: "Logistically speaking, these mp3's have entirely changed the trajectory of my day, and life, primarily due to convenience. I have waited for these with eager heart. Spiritually speaking, the one factor that amazing Robert Adams emits consistently, distinguishing him from my former explorations, is the ability to not just talk but lift you up into the words he is speaking. Of course this is the hallmark of the true sages throughout time. How lucky are we to experience this in this time frame? The integrity in your premiere honoring of this message is appreciated by so many of us. I feel his great blessings." - documented review - Paul R. Rudney London UK. "Totally 'jewels' for me! I can't wait to increase this mp3 collection. The sound is perfect like in an auditorium. I work in audio sound. This is the best I have experienced. Peace and Truth!" - documented review- Phil Anand Los Angeles Ca. Robert Adams "Dive Deeply into Bliss"
The Pure Form Original, authentic directives and deeply moving, caring guidance in every aspect of actually experiencing "The Omniscient Love of The Supreme" in classic Truth. "Be a reflection of the bright and shining light that is the True Self. When you begin to live this way, you have begun to become a student of Truth. Rejoice!" "I Welcome You With All My Heart. It is a beautiful day. Can you see the sun shining? It's in your heart." The Robert Adams Infinity Institute is a Non-profit 501 (c)(3) "Our Mission on This Earth Is To Be Of Service to Humanity." "You must have a compassionate heart for others to truly progress. When I say that all is well, I do not mean to simply observe others suffering, to do nothing. Quite the contrary. It is an inner realization. You have a deep knowing, a peace, that in God, in Absolute Reality, there is a divine order. However, on this earth, one who truly realizes this, feels a great compassion for all beings. They are the first to get in there and help. Yet they retain a peace that passeth understanding deep in their heart. ""Never forget the most important thing. Love, Compassion and Humility. 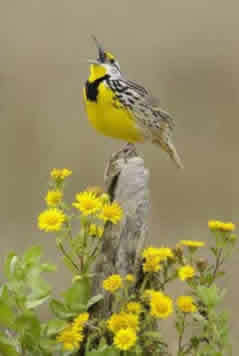 As you are unfolding, spread sunshine to all you meet." The Robert Adams Infinity Institute is a non-profit 501(c)(3) registered in the state of Nevada personally established by Robert Adams for the sole representation of his teaching and presentation of his pure form original works of three decades. 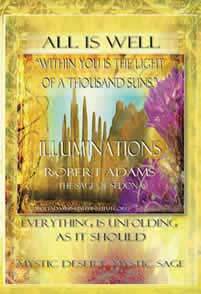 The Robert Adams Teachers and linage present his message of love compassion and humility in the life long presence of the gentle Sage of Illumination. ©Copyright -All rights reserved per international copyright law. The Robert Adams Institute has All Rights of Publicity. 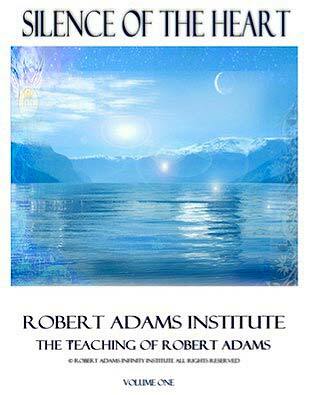 The name' Robert Adam's Spiritual Teacher is Trademarked under The Robert Adams Institute as established by Robert Adams. It is the only legal Robert Adams site and Facebook representing his works. 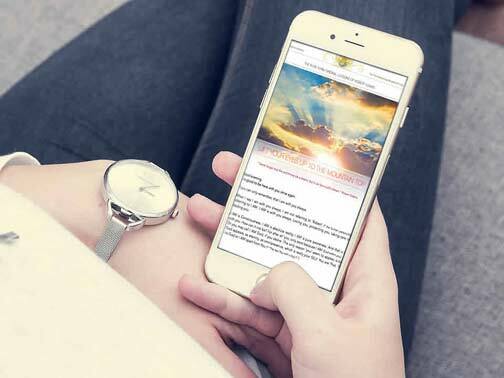 The Robert Adams Institute for Compassionate Living constitutes the sole website and Face book of actual documented Robert Adams Students, his Lineage and Teachers who personally remained with Him as students for 10-30 years. Robert Adams authorizes no one to represent, teach, interpret or disseminate his works other than his Institute and daughter Laila, the sole individual personally teaching students with her father. Requests for publicity to place Robert Adams works on Social Media or Web may be requested in the Contact form above.